Budgeting is tough. I know that, because I too once lived without a budget and found myself in trouble as a result. The fact is though that once I implemented and started living by a budget I soon discovered the freedom it breeds. 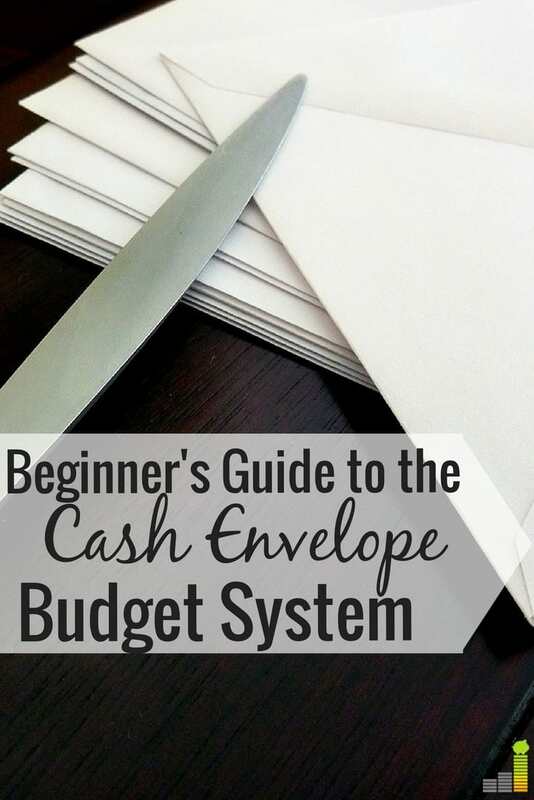 The next step after starting a budget was discovering the envelope system of maintaining a budget. There are a number of variations to it, but the general idea is to pay for nearly everything in cash. I’ve discussed budgeting in detail in various places, so I won’t belabor the point here. The key is to take your monthly income and list next to it your monthly obligations. Cut needless expenses to increase the remaining amount. 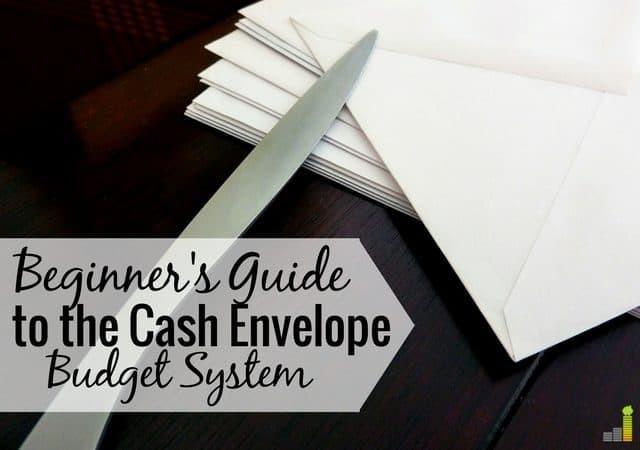 After finalizing your budget, it’s time to implement an envelope, or cash system. There will be a number of things that will not be included in your cash system. Large, recurring payments like mortgage, utilities, and/or car payments should be left to an automatic withdrawal if possible. After those expenses though, virtually all of your remaining expenses, such as for your grocery budget, car maintenance and even entertainment, can be done through the cash system. Once you determine the amount to withdraw, then determine when you withdraw the cash. Where you store the cash is up to you, but my wife and I use an expandable coupon book with 12-15 sections. Find what works for you, for example, withdrawing cash after each paycheck and then fill your container with the amount you have budgeted. I won’t lie, this change took my wife and I several months to fully implement. In our culture of plastic it can be difficult to do most things in cash. If part of it is not working for you, then make changes to improve your system. The nice thing about the envelope budgeting system is that it frees you to spend the cash as you see fit. Remember though that when it’s gone then it’s gone; not waiting until the next time you get to withdraw your cash for that specific budget item will defeat your end goal. Or, if you find that you really would like to buy something, but don’t want to give up the cash you can freely leave and have a chance to think over the purchase. This separation between emotions and spending of money is a hallmark of living frugally. There is a psychological component to spending money. It “feels” so much more difficult to part ways with cash than it is to swipe a card. This can help eliminate guilt when shopping, particularly grocery shopping. If I know that I have the cash to buy something, then I can do so without wondering if my budget can withstand it. Paying for nearly everything in cash is a paradigm shift, I’ll cede that. The work is worth it as it can help you better stay within your means and make living frugally that much easier. Do you use the envelope budgeting system? If so, how long did it take to become habit? If not, what’s holding you back? This is something that we’re working on. We tried it for a couple of weeks but then stopped. Don’t know why we stopped! I can relate Michelle. It took us several tries to get it down. We love using the system now as it can really breed guilt free spending. We love the envelope system! For cash outside your regular budget, this is a great way to budget within a budget and leads to guilt free spending! Completely agree Brian. I love being able to do shopping for the kids’ birthday or Christmas presents (or other similar things) and know that we have the cash for it and don’t have to worry about where the money is going to come from. Thanks for stopping by! We do envelopes but electronic ones. We divvy things out into different accounts for different purposes. It works really well. That sounds awesome! We do something similar for bigger items like saving for a car or vacation. It helps to have it separate as you can work towards each individual goal. Electronic envelopes is new to me. I’d like to know how that works? Isn’t the point of the envelope system to have your cash in one place and to see the money? There are a number of sites out there that offer something similar and allows you to have things segmented. I know there are also online banks that allow you to have subaccounts (I believe ING being one of them) that allows you to separate your different categories, so it gives you something similar. I couldn’t imagine not using my Discover card for most purchases. The rewards are so nice! We are working on a budget right now (we are in our third month of recording every dollar we spend and looking at what we should budget out). Most of our costs are fixed ones that are on auto-pay, such as student loans, rent, utilities, phone bill, etc. so I’m not extremely worried about our budget. The first month we spent a whopping $5 on entertainment….that fluctuates but I think we are pretty careful about it even without a full budget drawn up. Credit card rewards can be nice DC. In the end, the important thing is being able to stick to your budget and know where your money is going. Great job on tracking your expenses…that’s the hard part, developing the budget. Once you get it established very little is required to actually see how you’re doing and making adjustments. I cannot keep up with cash. Try as I might it just does not work for me, but I’m glad it does for others. I use learnvest to track my spending and then when it’s gone I put my debit cards away at home and don’t use them! It was the same way for me for some time, but it has gotten easier. The important thing is knowing where your money is going. I know, they’re only trying to make money off of us. You’d think they’d hate people racking up debt and loading up their cards, but they get a massive influx of income off of that. In the end I am selective about what cards I use and pick the one that will give me the best rewards. I don’t do the cash system, it just is too much for me. Instead, I just use a budget which I update daily and put everything on a rewards credit card (which I am paying off weekly). I find it easier to keep track of everything electronically, and I still end up right on budget every month, so it seems to be working ! This envelope system seems great, especially for couples where it may become more difficult/complicated to track both person’s purchases otherwise. Yea, I know it’s not for everyone. In the end, in my opinion, the main thing is staying on budget and keeping spending under control. That’s great you have a rewards card, they can be really nice if it offers good rewards. Thanks for stopping by! I just can’t do the cash system. Most of the bills are on autopay and I’m trying hard to budget the rest. I lose and misplace my purse to much to carry cash, but I appreciate the people who are able to do that. I just planned out my posts for September and one included discussing the cash envelopes. My wife and I have been budgeting for 6 years and we’ve stuck with the cash envelope system that entire time. It’s worked great and has really helped us limit our spending. While we don’t stick to it perfectly each month, it undoubtedly makes sure we don’t go too far over our limits. I think my wife and I have been doing the cash system for about the same amount of time as well. We’ve not always been perfect with it either, but it definitely does help us stay within our limits. Lol on not having your wallet. That’s one way not to spend money. 🙂 Thanks for stopping by as well. I tried the cash system, but it’s just too tedious. I’d rather go all plastic, and get my weekly report from Mint.com. It tracks all my spending, and alerts me when I’m near/over budget (you can set that up on your account as well). But kudos to you and your wife..wish I had the discipline, diligence and patience for the envelope system! I have tried the envelope system, great idea but dealing with physical cash alt the time is difficult. As long as track my spending in an excel spreadsheet and a phone app I’m golden. The money system can be good for a catergory of expenses. I can understand the difficulty aspect. As long as you find something that works for you while allowing you to stay on budget is the key in my opinion. Thanks for stopping by! I don’t do an actual envelope budget system but I do have a budget setup on Mint. What do you do if you go over budget on a category like groceries though? Stop eating? haha I have this problem a lot(with my food and alcohol budget) so I’m wondering what other people do in this situation. Lol. 🙂 No, we don’t stop eating. Speaking personally, we always stay within our grocery budget. Now, trust me, it took quite a number of attempts to get to that. Really, it just requires discipline and we usually have grocery money left over at the end of each month. In the beginning, we just have to make adjustments so we’d have enough to cover groceries. I LOVE the envelope system. I’ve tried and failed to budget other ways, but keeping track of cash has been very helpful. There is nothing like seeing an empty envelope to realize that I’m out of money! I only carry two envelopes with me on a regular basis (food and misc. spending), that cuts down on the amount of cash I have on me. I do as well Kelly. I know my wife does something similar and we keep our larger envelope at home and hidden in a good place. It really does help us stay disciplined and stick to our budget. Thanks for stopping by! I would love to implement something like this, it’s a serious talk that needs to happen with hubby. We currently don’t have an ‘envelope system’ but have a bank account that we use for all our spending so if there’s money in it-use it, but it has to last until next pay. I much prefer cash but hubby hates carrying it and on the flip side I like the points our debt card gives us towards free groceries…decisions! I use cash for my lunches and going to the farmers market. It helps keep me from overspending on meals and produce which is really easy to do in SF. I LOVE the envelope system. I got really cute fabric envelopes off of etsy, haha, and that makes it more fun!